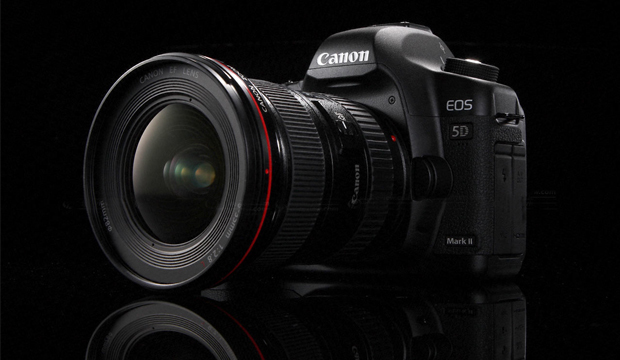 Canon har nu äntligen kommit ut med en uppdatering till deras 5D Mark II. Det har varit diskussioner om sensorfel, uttalanden från Canon och fulhack för att lösa problemet med svarta pixlar. Nu sägs det att Canon har åtgärdat både problemet med svarta pixlar och problemet med vertikalt brus. Länk: Nerladdningssida och steg för steg beskrivning. What has changed in Firmware Version 1.0.7? It improves and mitigates the following image quality phenomena. When shooting night scenes, the right side of point light sources (such as lights from building windows) may become black. The phenomenon may become visible if the images are enlarged to 100% or greater on a monitor or if extremely large prints of the images are made. This firmware improves and mitigates this phenomenon. If the recording format is set to sRAW1, vertical banding noise may become visible depending on the camera settings, subject, and background. The firmware improves and mitigates this phenomenon. Why is it required to update the Digital Photo Professional and Picture Style Editor software?